The exquisite Alison Cork Oval Counter Top Basin, sits elegantly on a worktop console or piece of vanity furniture such as a vanity unit. 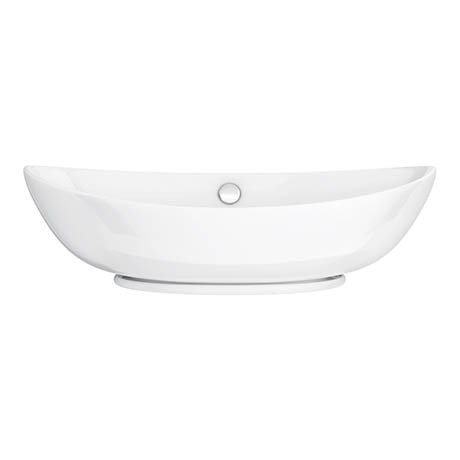 This basin has been handpicked by interior designer Alison Cork and features as part of our Boutique Chic collection. Complete this item with a stunning high rise tap or wall mounted tap for full effect. Alison says, "Designed to look and feel like a spa experience, my Boutique bathroom is all about organic shapes, and this softly curved freestanding basin perfectly complements the spirit of this look."